Nick Jenkel, a social innovator and teacher says, “If your innovation does not require extensive collaboration, it probably isn’t very ambitious.” Broad and deep collaborations are increasingly characterizing the work we do. – Gord Tulloch, Director of Innovation, posAbilities. At the same time that we try to make our professional services better—more responsive and person-centered—we are also trying to catalyze the power of natural community to care for each other and to celebrate diversity. How do we create more conditions for reciprocity and engagement? How do we embed people who are socially isolated into their neighbourhoods and communities? How do we foster hospitable spaces and natural friendships? “Good lives in welcoming communities” means there are people who love us. It means we bring something to the world that is missed when we aren’t there. It means we are having experiences that give our lives meaning and purpose. How else can one hope to flourish? The social services system often sees people in terms of the things they “need” and ignores all the great things they have to offer. Our work in building both relationships and community is based on the gifts, passions and skills that everyone brings with them. We work in neighbourhoods in search of places of hospitality and look for ways to support people in sharing their gifts with others. We use the Asset-Based Community Development (ABCD) framework that was created by John McKnight and Jody Kretzmann at Northwestern University. This method focuses on the gifts or assets that are inherent in every person and in every neighbourhood. 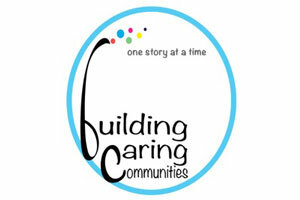 Together with several partner organizations, we created Building Caring Communities, an initiative delivered by community connectors who foster relationships and partnerships amongst citizens, businesses, faith groups, neighbourhoods and community associations. It works because it focuses on the gifts and assets of people and communities. 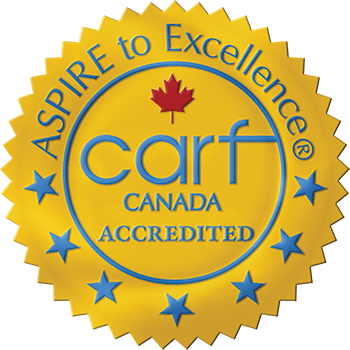 Visit our site to learn more www.buildingcaringcommunities.ca. Together, we can all plant a seed. Established in 2009, Can you dig it (CYDI) is an inclusive food growing initiative that overcomes the challenges of social isolation and food security through urban gardening. To date, more than 1,200 citizens have enrolled in over 35 community gardens, with each garden donating a portion of its yield to those in need. Food production is a wonderful way to develop a sense of belonging, as neighbours work together towards a common goal. The gardens are welcoming places to learn new skills or to share existing ones. CYDI gardens are designed to be diverse, as leaders reach out to include everyone in their community – newcomers, persons with disabilities, seniors, youth and all of the neighbours. 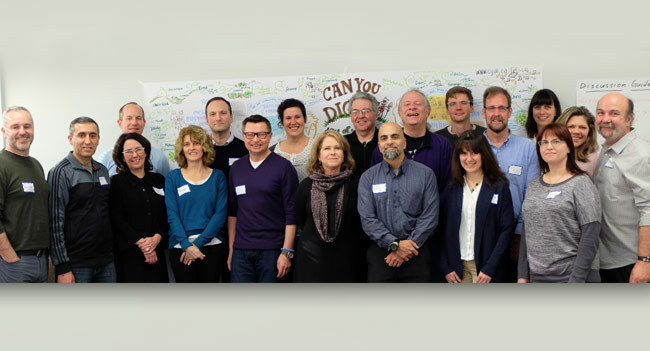 The initiative has scaled up quickly, and now consists of a myriad of community partners who are networking and seeking ways to work together to expand their impact through collaboration! 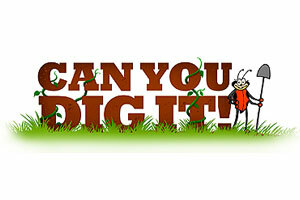 Can you dig it not only grows food, it cultivates relationships! Visit the site to learn more www.cydi.ca. posAbilities was part of another community collaboration this year, as we co-hosted a team of ethnographers and social designers, affectionately known as the folks from InWithForward. The team moved into a social housing complex in Burnaby to begin their transformational work this Spring. Their focus was to get beneath the labels – disabled, immigrant, poor, and senior – and to learn how to reduce isolation and increase belonging. They seek the kind of belonging that propels people forwards, rather than keeping them stuck. InWithForward is all about improving the lives for those who live on the margins of our communities. 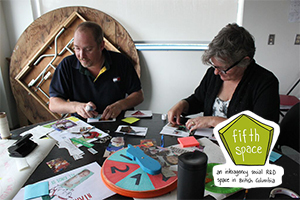 They do this by prototyping ideas for small-scale changes within service delivery systems. Working from the bottom up, their goal is to understand systems from the perspective of the end user, to generate ideas with all involved, and then to tweak and test those ideas to create better outcomes. The focus is on the result, not the process – results that improve lives. The first idea to be prototyped is called Kudoz! For more information, click here. “The more we make space for ‘disability’ in our stories and our imagination, the more we make space for it in our hearts and our communities.” Gord Tulloch, posAbilities. 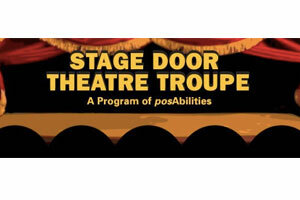 In 2009, posAbilities began collaborating with Burnaby Association for Community Inclusion and Kickstart Disability Arts and Culture on two initiatives aimed at increasing the profile of artists with disabilities in mainstream digital media. One initiative, is the annual sponsorship of a Vancouver International Film Festival film that features actors, directors and/or writers with disabilities (the film needs to be about disability). The second, is the creation of the Wide Angle Media festival in 2012, an opportunity for local film makers to gain support for creating content for mainstream media. The belief underlying these initiatives is that seeing people with developmental disabilities playing roles in movies, commercials or sitcoms with increasing frequently, can lead to society making space for them. It is also about levelling the playing field. People with developmental disabilities are capable of making equal contributions to our world, making it better, more beautiful and richer – a part of the thread of diversity that’s been missing from our communities. This is more than art; it’s a revolution! Alternative Creations Studio was founded on the steadfast belief that every person has the ability to create beautiful things. We create a space and an opportunity for people with developmental disabilities to showcase their artistic skills and to express themselves creatively. Our artists go to the beat of their own drum, to create masterful, beautiful, interesting, provocative, wild, stunning and curious art. All of our artists face barriers which they translate into celebrations on canvas. There are currently 17 artists working at Alternatives. For more information, please visit their Facebook page. Hosted by Alternative Creations Studio and Cheryl Fortier – Artist, supported by East FEAST, Vancouver. An exciting new initiative, “Art Outside of Ourselves” aspires to provide opportunities for artists with diverse abilities from Vancouver and Valence d’Agen and Auvillar in the Southwest of France to take an imaginative journey. Cheryl Fortier is leading art workshops along key themes such as ‘home’ and ‘identity’ in both countries, resulting in the sharing of art projects and providing a platform for artists to communicate through their work, holding international conversations. The Culture Crawl is Vancouver’s four day visual arts, design and crafts festival. The event involves more than 20,000 people visiting artists in their studios in the area bounded by Main Street and Victoria Drive north of First Avenue in Vancouver. Alternatives has been participating for several years, and has recently introduced new original paintings, art cards and the Sip Soul series of coffee mugs. The Art Show is organized annually by posAbilities to exhibit and sell the works of hundreds of artists who have diverse abilities and who aim to inspire the community and dismantle barriers to inclusion. Studios from across Metro Vancouver participate, along with independent artists who curate their collections of paintings, pottery, glasswork, photography, illustrations, jewelry, cards, craft items and more. The event is held in the month of October to celebrate Community Inclusion. 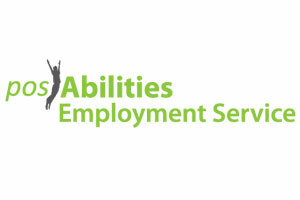 For more information on how to get involved, visit www.inclusionartshow.com or contact us.